It’s no secret that the British monarchy like the finer things in life…especially cars. The modern royals aren’t afraid to splash the cash on a sleek new ride, but they don’t go for just any old automobile. Every car is modified to meet their exact needs, from specially placed vanity mirrors to extra seats for the heirs to the throne. Enjoy the ride as we take a look at the cars of the Royal Family — past and present. Which one is your favorite? Range Rover’s are the go-to everyday car for the world’s elite — or anyone with some extra cash at their disposal. Not only are they pretty sleek to look at, but Range Rover’s can take on almost any terrain. Will and Kate often use theirs for family outings and even took their children home from the hospital in one. Of course, theirs probably has a few extra mods to it than most of them out there on the roads, including armored plating and bulletproof windows in case of an emergency. It may be their most used car out of all of them. Prince William might be royalty, but he likes his toys just as much as the next 30-something male. 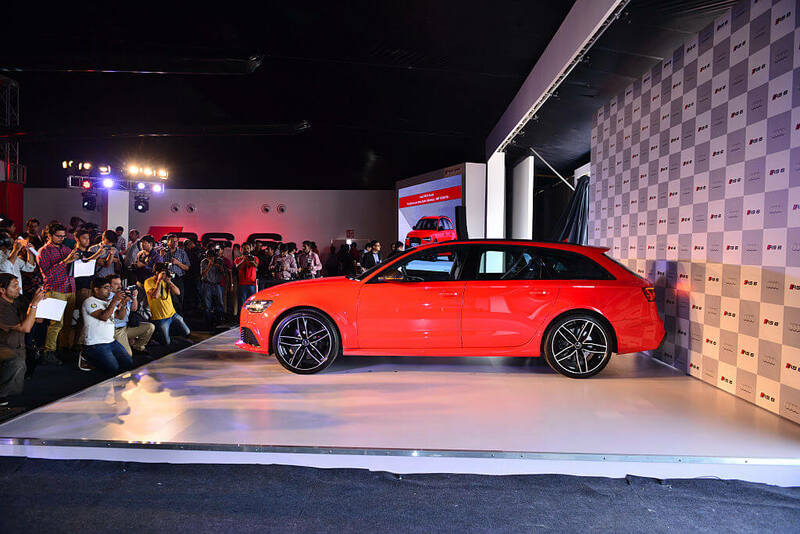 Will is such a fan of Audi that he even invited the boss of the company to his 2011 wedding. 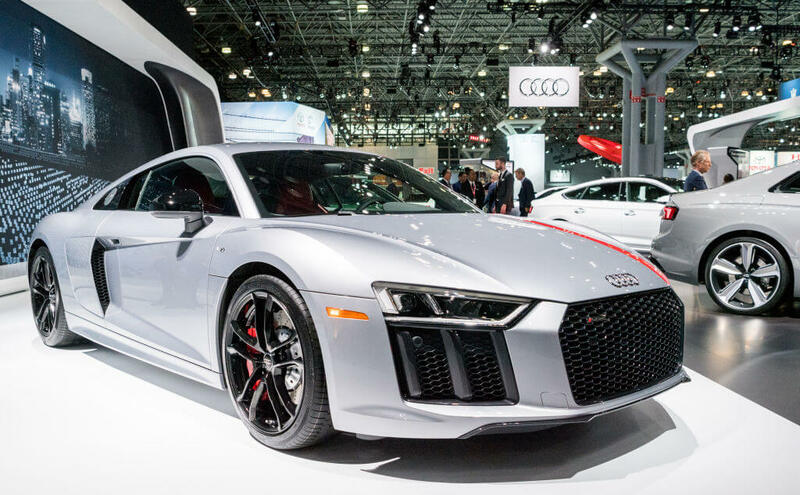 These days, he owns a rather impressive Audi R8 — hardly something you’d take the kids out in.We can’t imagine little Prince Louis’ car seat fitting well in the back of one of those bad boys. The ultra-stylish, super-fast sports car retails at approximately £109,765 in the U.K. (which is around $143,000 in U.S. dollars), so Will probably keeps this vehicle hidden away for special occasions outside of everyday family life! 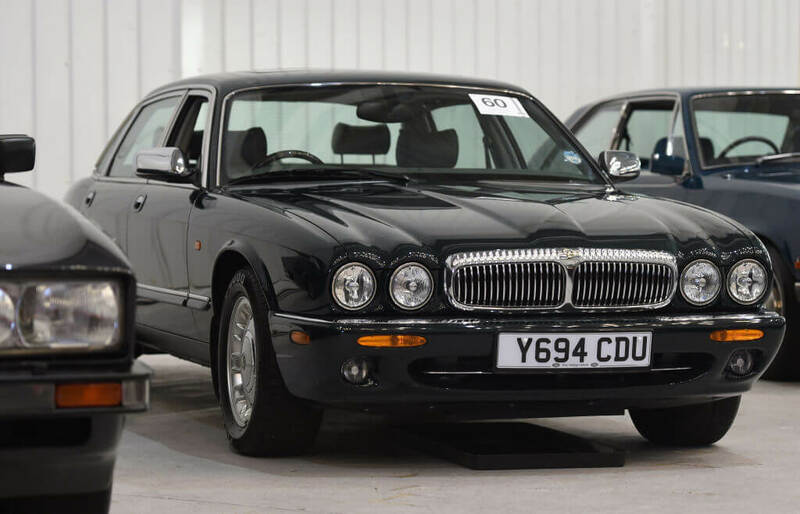 Earlier this year, buyers were given the chance at purchasing one of Prince Harry’s former vehicles for the bargain price of £71,900 (just under $94,000 is U.S. dollars). Harry was seen driving the 2017 red Audi RS6 Avant to Pippa Middleton’s wedding reception alongside Meghan Markle. 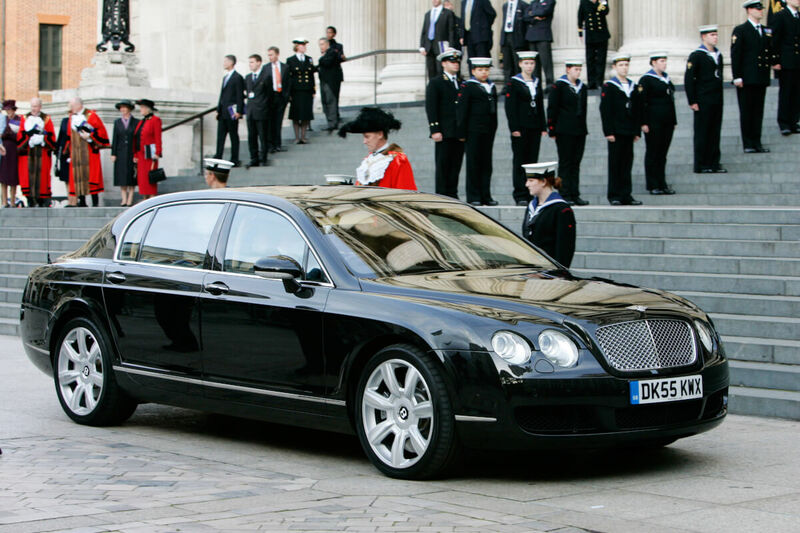 The Queen’s state fleet is impressive, but it’s her twin Bentley’s that really steal the show. Both of Her Majesty’s Bentley’s were built to her specific instructions, and are almost a meter longer than the standard versions. As well as being fine examples of solid British craftsmanship, the cars come equipped with some royal quirks. The roof covering is removable, allowing onlookers to get the best possible view of the Queen as she passes through the streets. Inside, the interior is lambswool sateen cloth and light grey leather hide — only the best of the best for Queen Elizabeth II. 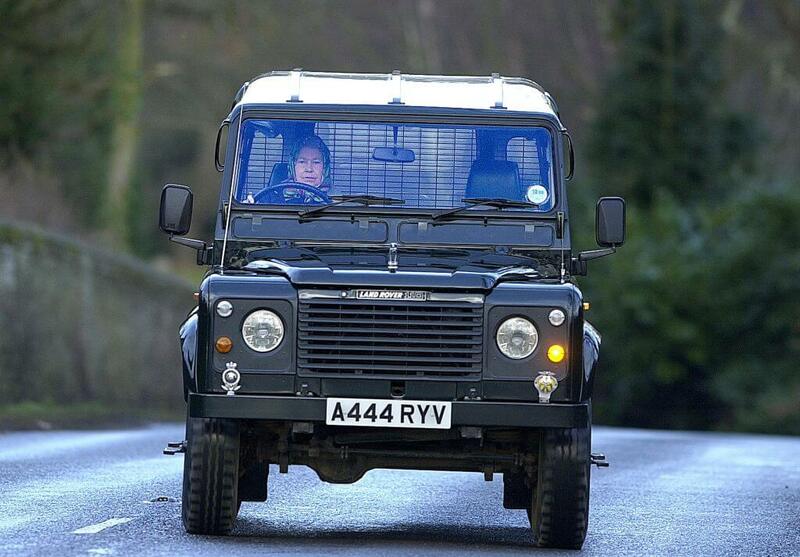 According to a royal insider, the Queen’s favorite car of all time is the Land Rover Defender. It’s believed that Her Majesty has owned over 30 in her lifetime, but none more luxurious than the custom built Defender she purchased in 2002. Land Rover fully decked out their offering with custom green leather heated seats, electric windows and raised suspension to make driving around Sandringham estate a little easier for Ma’am. The car was sold in 2014 by auctioneers Brooklands for £30,240 (just under $40,000 in U.S. dollars). They believed it was mainly used for hunting parties as shotgun cartridges were found stored in the glove compartment. 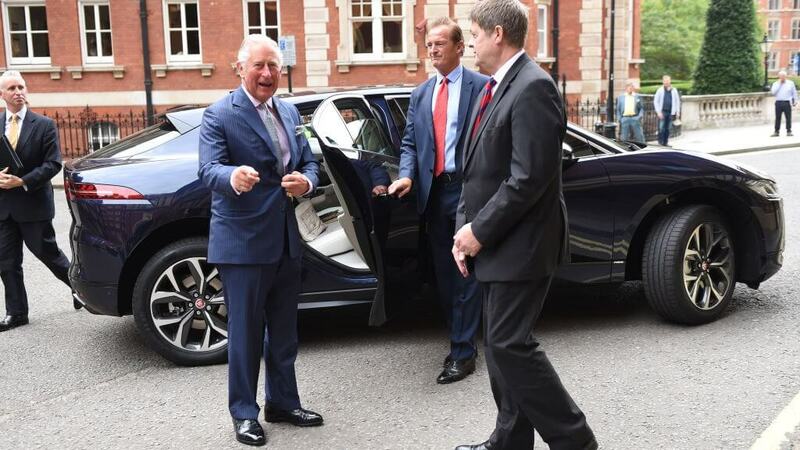 Earlier this month, committed environmentalist Prince Charles debuted his sleek new ride, the Jaguar I-Pace. The car is special for a number of reasons, but made headlines for being the royal family’s first all-electric vehicle. The dynamic car is Jaguar’s first battery-powered offering that set the Prince back around £60,000 (about $78,000 in U.S. dollars). 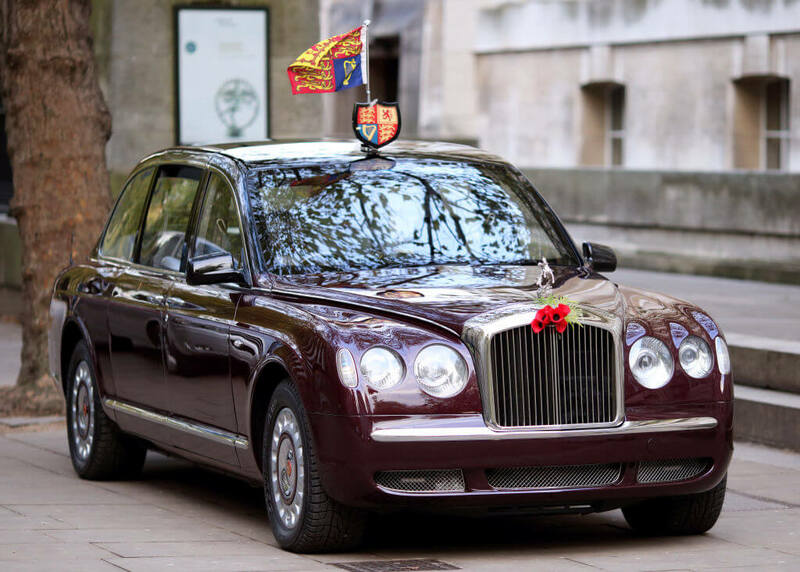 A single charge could safely transport Charlie from Clarence House to Highgrove, but it’s currently being used as his dedicated city car, getting him to and from events in and around London. The interior isn’t to be sniffed at either, with plush leather seats and innovative storage that could easily fit a weekend bag or three. 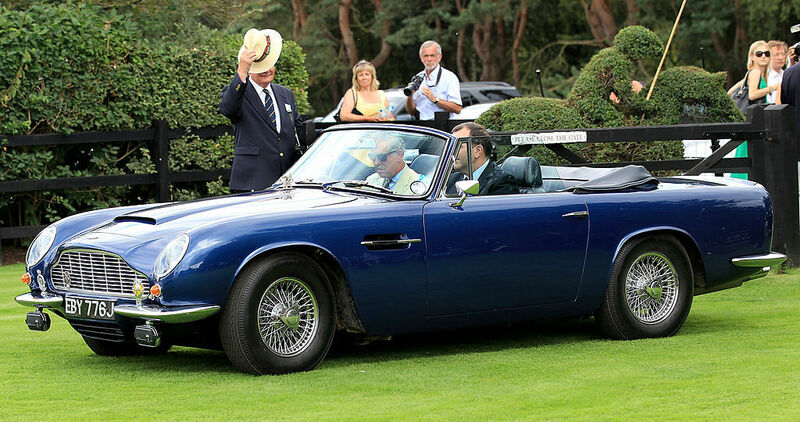 Prince Charles loves classic cars just as much as sustainability, so it wasn’t a surprise that he had his Aston Martin Volante DB6 converted to run on fuel made from wine in 2008. 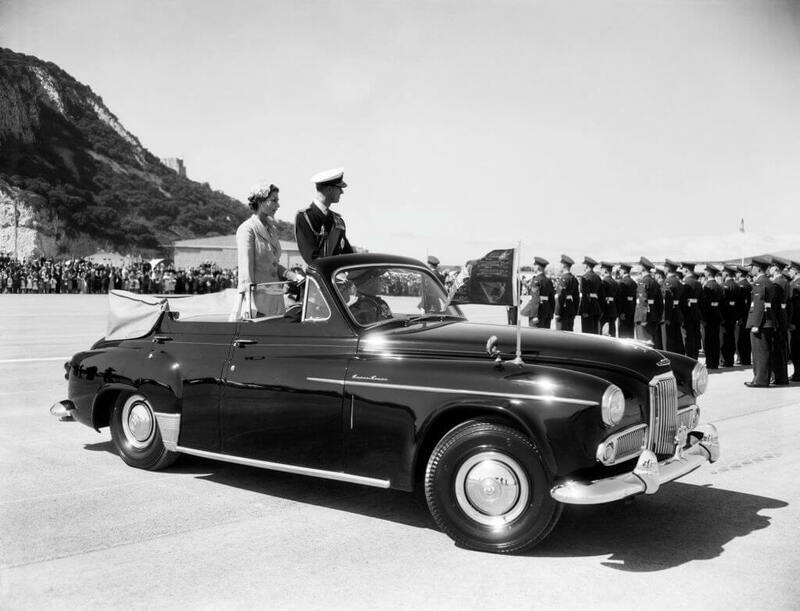 The gorgeous automobile was gifted to the Prince by Her Majesty for his 21st birthday in the ’60s. The small sports car is kept at Charles’ Highgrove retreat to be used at his leisure, and despite being over 60 years old is kept in immaculate shape. You know what they say – some things only get better with age. Prince William liked it so much he borrowed it for his big day in 2011. 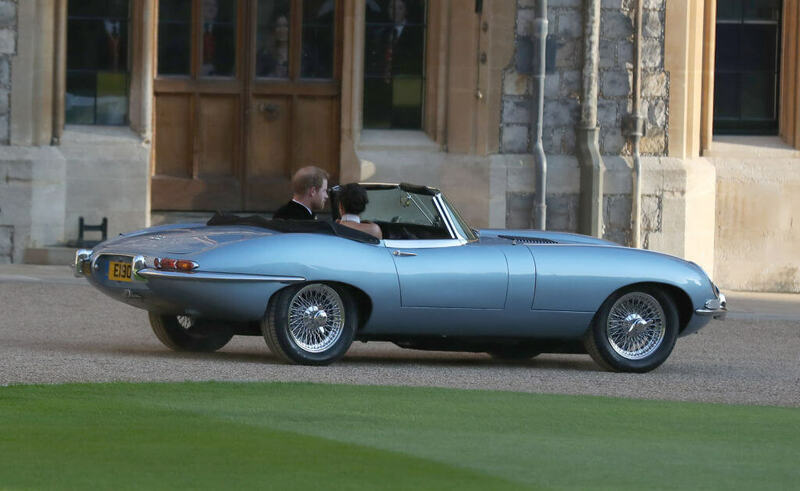 The newlywed Duke and Duchess of Sussex chose a Jaguar E-Type Concept Zero to get them to their wedding reception earlier this year, and the car didn’t go unnoticed. Not only is it as beautiful as Harry’s new bride, but it’s also entirely electric. Jaguar built on the original concept for their 1961 E-Type, which was dubbed the “most beautiful car in the world” by Enzo Ferrari. Clearly, this silver bombshell isn’t for your hunting trips or leisurely drives around Sandringham estate — this is purely for pleasure. It’s thought that this beauty would set you back around £350,000 ($450,000) and was probably loaned to the couple for the big day. Most people want to sit down when they’re in a car, but not the Queen. Her Majesty needs to be on display for her subjects on special occasions, so of course being able to stretch one’s legs is an absolute must. Ma’am had this 2015 Range Rover custom built to meet her every need. Complete with backwards-opening doors and an open-air top, the LWB Landaulet is the fourth car provided by the company specifically for state events, starting back in 1953. We know that the Windsor’s spare no expense when it comes to comfort and this ride is no different. 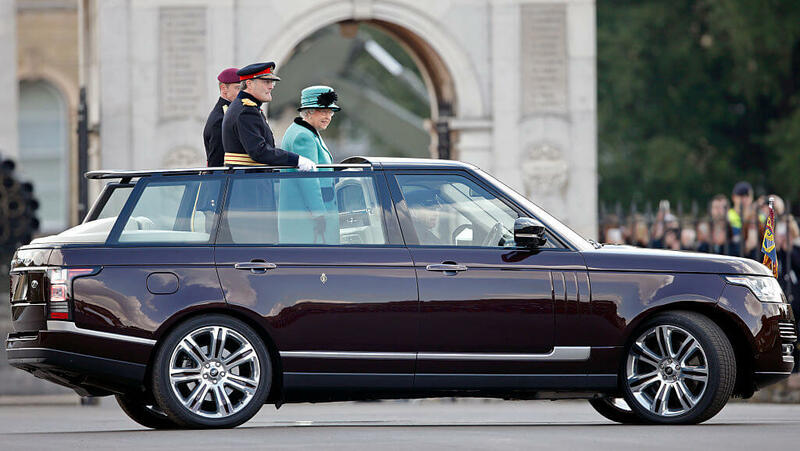 Princess Anne established her favorite car manufacturer way back in the ’70s, when the Queen and Prince Phillip gave her one for her 20th birthday. The young Royal was so enamored with her charming sports car that she visited the Reliant factory for a tour in 1975. 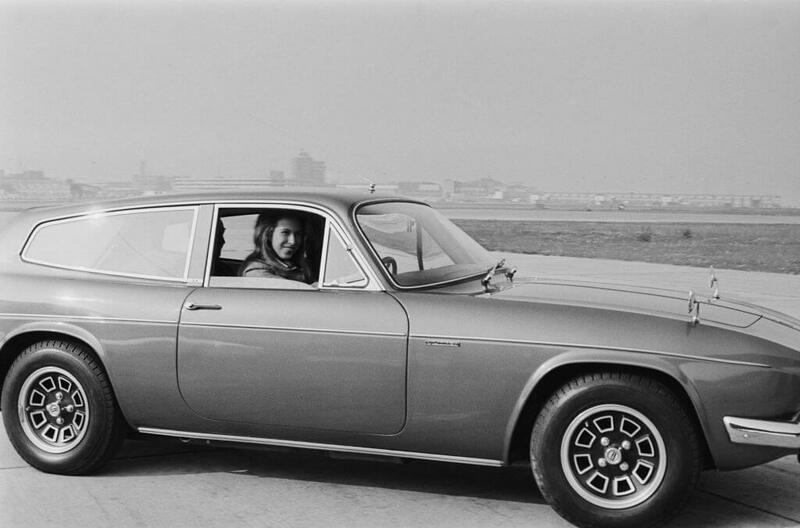 Since her first model almost 50 years ago, Princess Anne went on to own eight different types of Reliant Scimitar’s over the years and is arguably one of the most famous owners ever known. It was a fairly fashionable car of the moment though — the Duke of Kent owned one, as did British TV personality Noel Edmonds. You don’t tend to hear a lot about Prince Andrew these days, but back in the ’90s he was regular tabloid fodder thanks to the breakdown of his marriage to outspoken Sarah Ferguson. At the time, the Prince was rocking an Aston Martin DB7 Volante. The Prince had the green sports car custom built to make it more family friendly, with soft white leather seats and a wood-enameled steering wheel. Although he sold it after just one year, the Aston served Andrew well. 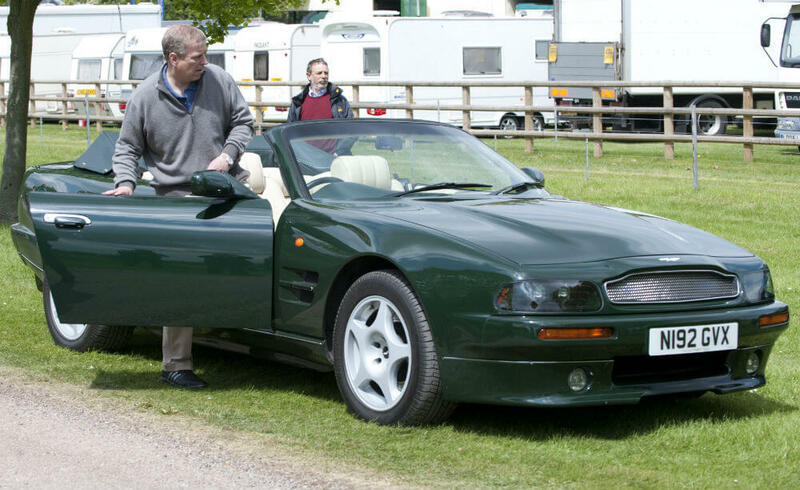 It went up for sale at Bonham’s Goodwood Racecourse earlier this year with a guide price of £25,000 – £35,000 ($45,000). The Queen has her Bentleys for getting to and from an official visit, but her late sister Princess Margaret opted for a slightly smaller state car, the Rolls-Royce Silver Wraith. The Princess used the car as her personal vehicle from 1980 to her death in 2002. 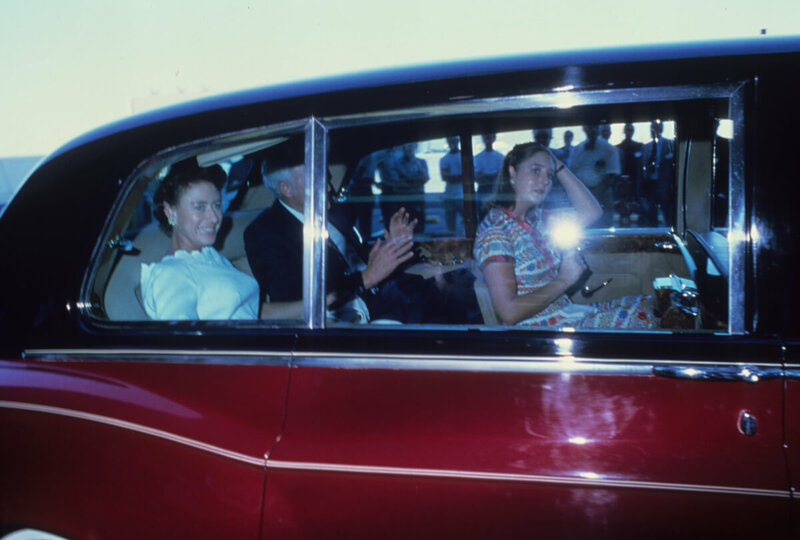 As with most Windsor cars, the interior was specially designed, fitted out with rosewood paneling and a raised backseat so that the Princess could be seen clearly by passing crowds. Over the years the car had some very important passengers, including the Queen, Princess Di, and Nancy Reagan. It was put up for auction last year, worth an estimated £90,000 ($117,000). 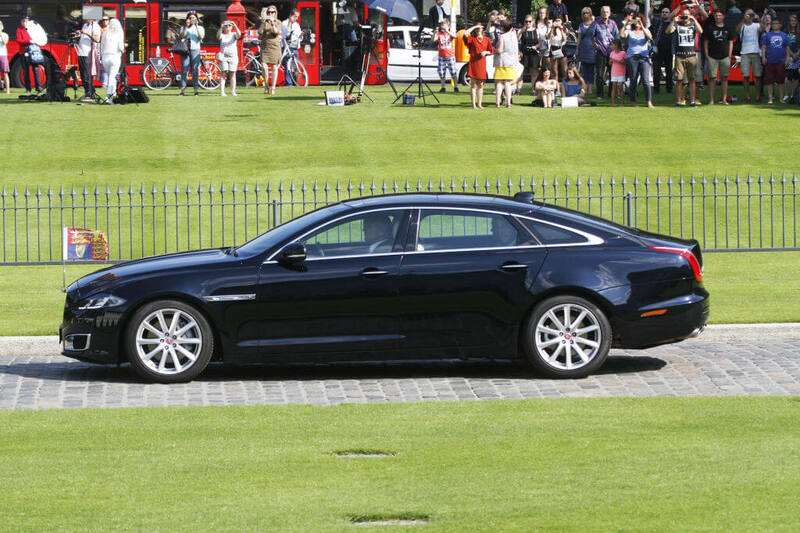 Prior to the birth of Prince George, Will and Kate used the stylish Jaguar XJ for most outings. Jaguar describes the dynamic four-wheeler as “luxury in motion.” These days, the couple use cars with a little more space for their three children most of the time, but every now and then the stunning XJ makes a welcome appearance. It’s not hard to see why it’s one of Will’s favorite cars — it comes fully equipped with everything you could possibly need. The busy Prince can keep connected to his smartphone while driving (safely of course) and the XJ also boasts a state-of-the-art infotainment system. We’re not sure what that is, but we want it! It’s no secret that the late Princess Diana had impeccable taste in fashion, but this extended to her choice in cars too. Jaguar is possibly the most popular car manufacturer for the royals next to the Range Rover. 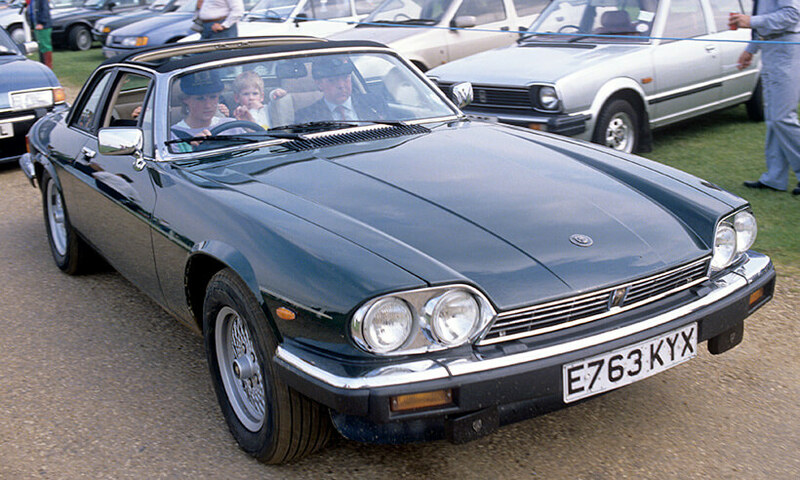 Diana had her XJ-S Cabriolet specially made to a high standard to accommodate her children. Usually, the car would only have two seats, but the doting mom had two seats put in the back so Prince Harry and Prince William could ride with her. As well as that, the seats were covered in Harris Tweed and had a permanently fixed rear hard top to ensure the young Prince’s safety. Di loved driving the car so much that her bodyguard usually sat in the passenger side. Back in 1954, Prince Philip got his mitts on an Aston Martin Lagonda. The 3-Litre Drophead Coupe was made to order for the Queen’s other half and was Aston Martin’s first custom make for the family. The Prince had his wife in mind when designing the car, inserting an extra vanity mirror on the passenger side so Her Majesty could check her hat on the move. He also had a radiotelephone put in — supposedly so he could prank call Prince Charles. Philip used the car for his personal errands for several years, taking his son to school in it and going to Cowdray Park to play polo. Prince Michael of Kent stays largely out of the limelight. The Prince is the first cousin of the Queen and is currently 47th in line to the throne. Although he largely keeps to himself, Michael is required to tend the odd event here and there — and of course, he needs an appropriate car for such occasions. The Bentley Flying Spur is his vehicle of choice, but he isn’t the only member of the family that favors the armored vehicle. Will and Kate have also been spotted in one at a number of events, and it’s hardly surprising as the car offers a perfect mixture of safety, speed and comfort. The Queen used this Daimler V8 Super LWB as her personal car from 2001 to 2004, using it to drive around Windsor Castle or to visit friends. The Damlier was also her late mother’s choice of car. According to The Telegraph the car was sold in 2013 for $40,500. The modifications specially built in for Her Majesty included an armrest with a sliding holder for her favorite handbag brand, and unique air filters. The Queen told Damlier that she loved fresh air while driving, but didn’t like it blown directly onto her face, so they designed switches to blow the air to the sides. Kate might be an official member of the family now, but there was a time when she was just a regular(ish) girl that went to Edinburgh University. 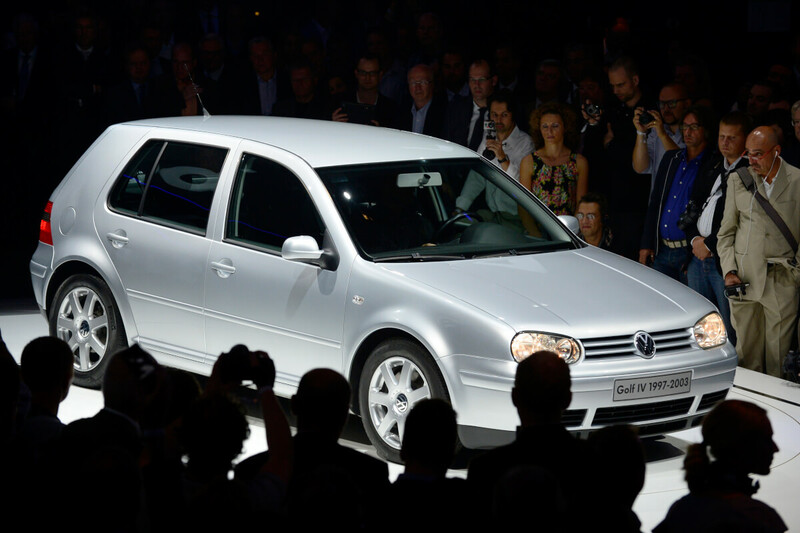 She now has the very best of the best cars at her disposal, but pre-Duchess Kate drove a modest Volkswagen Golf Mk IV. Kate’s particular car was neatly kept, and the hatchback served the Duchess well in her pre-royal years. Of course, it was a standard model off the line and didn’t have any particular perks that come with being specially built. Kate would have to wait a few years to get to that stage! Princess Diana loved convertible cars, especially ones that could carry her sons, too. Di drove the 1994 Quattro Convertible frequently after her split from Prince Charles, often taking Will and Harry out on trips. 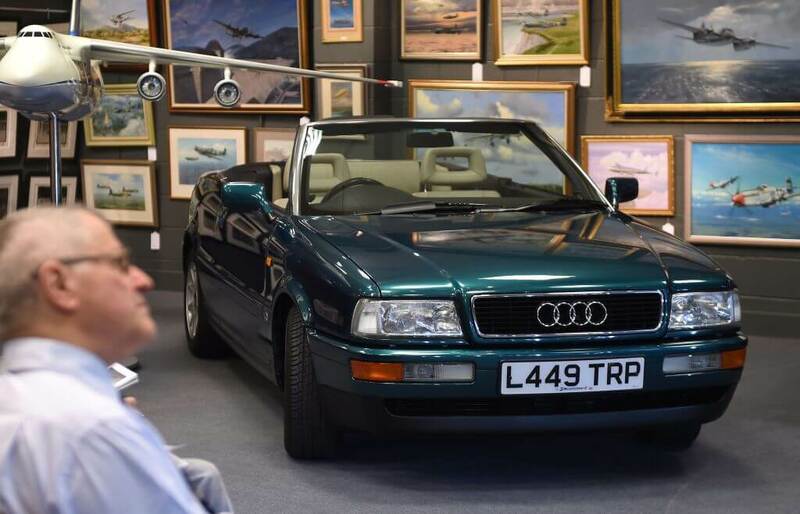 Although it didn’t have any particular modifications, the car was the pinnacle of luxury in the mid-’90s, boasting a smooth beige leather interior and an on-trend racing green exterior. The vehicle went up for sale in 2013, with only 21,000 miles on the clock. The auctioneers hoped it would sell for around £25,000 ($32,000), giving the new owner a slice of royal history for a bargain price. It’s good to have friends in high places, isn’t it? Prince Charles received this very generous gift in 1989, from the Emir of Bahrain, Sheikh Isa Bin Salman Al-Khalifa. Of course, it came personalized to the Prince’s exact specifications. 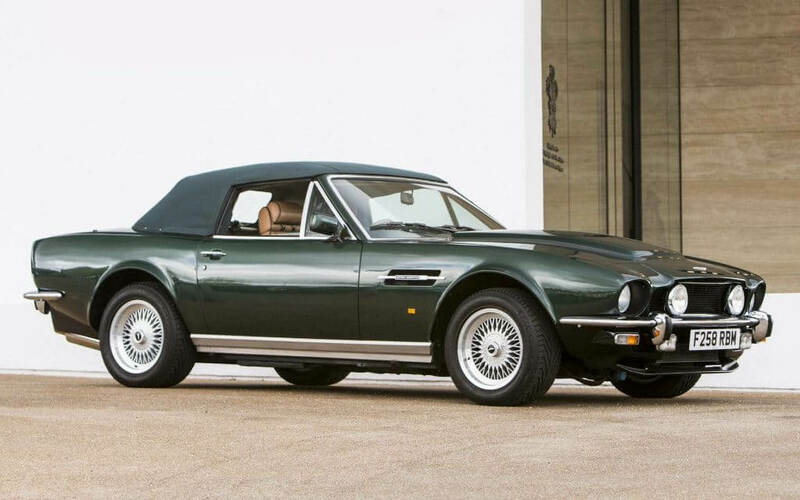 Charlie asked Aston Martin to remove the distinctive boot spoiler and side-skirts, and opted for a manual gearbox. Victor Gauntlett, boss of Aston Martin, loved the design so much that he ordered one for himself using the same specs. After all, if it’s fit for a royal then it’s fit for anyone, isn’t it? The car served the Prince well for several years.